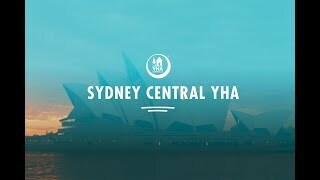 Sydney Central YHA is backpacker accommodation at its finest, with a rooftop swimming pool, sauna and a sunny outdoor area with panoramic views of the city. The stunning heritage listed building is in the hub of the backpacker district. Extensive facilities include two well equipped kitchens, large dining and lounge areas, laundries, in-house cinema, pool table, television rooms, free WiFi hotspot for guests, premium WiFi Plus, lockers, parking, 24-hour access, meeting rooms, group facilities, licensed travel agency, cafe/restaurant, mini supermarket, activities program and one of Sydney's most popular backpacker bars - Scubar. Limited twin rooms with disabled access are available - must be booked in advance.